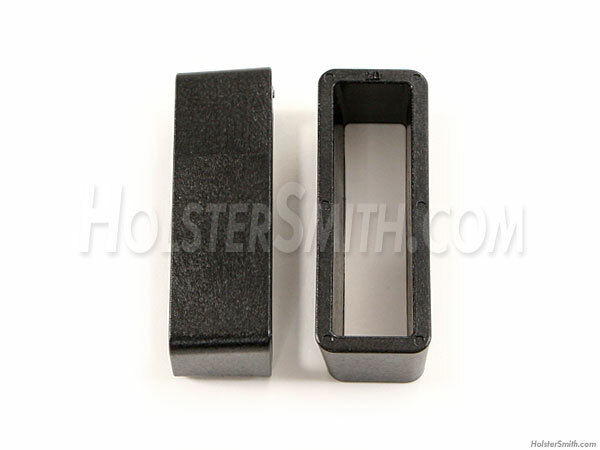 These are universal hard-molded belt loops from NSR Tactical. They are made from a proprietary polymer material and are virtually indestructible. This model is the non-drilled 25 inch belt model. They are slightly angled to allow for maximum ergonomic fit around the curvature of the waist. They can be adapted to any type of mounting. This allows for full customization with the addition of drilled mounting holes.